Journalists, activists, protesters, dissenting online voices, whistleblowers (i.e. truth-tellers) and alternatives to the current economic system have come under attacks using laws that were passed to tackle terrorism. “Terrorism” as a label is nearly becoming synonymous with dissent when even Wikileaks gets called “terrorists” by some politicians and Occupy protests (against crimes of banks) get called “low-level terrorism”, then crushed by the FBI. It’s all about maintaining a status quo of profound economic disparity and a perpetual atmosphere of tension or bloody wars (motivated at times by greed, ideology, and racism). Many who engage in preserving or restoring justice are now literally terrorised. Let the press around the world go wild over the latest NSA scandal, knowing that they now have the hard evidence they needed. This is all over the British news today, including the radio. An old friend whom I’ve just had a long lunch with was taken by surprise by these latest revelations (to him it’s new and he is a businessman in his sixties). The debate about privacy is being transformed rapidly and radically right now. Imperialism and the accompanying oppression rear their ugly head for everybody to witness in shock and awe. This is a good time to pause and ask ourselves, how can we defend ourselves from this tyrannical anarchy of pseudo accountability? First of all, pass the latest news reports to friends and loved ones. Make sure that everything they do over the wire and wireless (Internet and phone calls) they do with full knowledge that they may be recorded, even if they do nothing controversial and have never set foot on the United States (there is actually a worldwide conspiracy among fusion centres, just like ECHELON, so it’s not just a US issue). But this is just the first step. Tell them about free/libre software, putting aside the economic arguments. Free as in freedom-respecting software is a prerequisite, but it is not enough, not quite anyway. Now is a good time to equip friends and loved ones with freedom- and privacy-respecting software (non-free/libre software cannot be trusted for privacy unless it never ever in its entire lifetime gets access to an Internet connection or external media/peripherals). Make sure they know that everything they do online they should always be happy to make public to everyone (marking something private or “deleted” on the so-called ‘cloud’ has insufficient effect due to weak data retention regulations). “”Terrorism” as a label is nearly becoming synonymous with dissent when even Wikileaks gets called “terrorists” by some politicians and Occupy protests (against crimes of banks) get called “low-level terrorism”, then crushed by the FBI.”If you are involved in a business which uses so-called ‘cloud’ services, put nothing personal there and, if possible, insist on internal-only use (self-hosted and firewalled with reputable encryption method at endpoints, e.g. Jabber). Changing for the better corporate choices of software, such as ‘clouds’, ought to be somewhat easier now that we know how the NSA and its international allies operate behind a veil of secrecy and documents do exist to prove it. If you are using a third-party E-mail service, don’t. Self-hosted or domestically-hosted mail is not expensive and help can be sought when it comes to setup. Invite other people to drop US-based mail hosts like GMail, Yahoo Mail, and Microsoft’s brand du jour for E-mail. My wife and I only ever pass mail through localhost with strong encryption at the end-points. If you must buy a phone, buy it anonymously using cash and top it up as you go, using cash. Keep names off conversations and remove the battery when the phone is not used (we know for a fact that some phones can track and also record remotely when turned off; some got backdoored and turned into listening devices). Think this is paranoid? 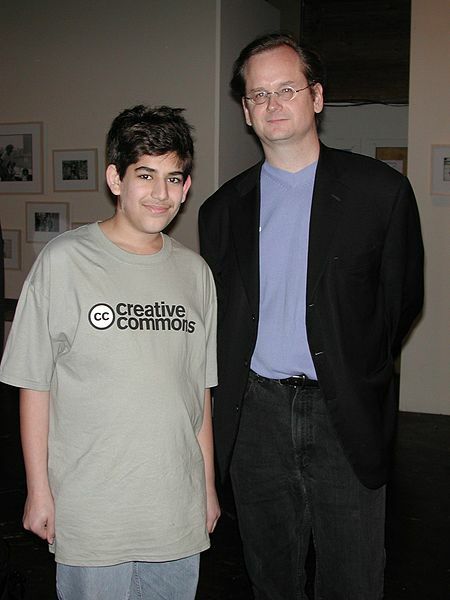 Then read Aaron Swartz’s full story. Think this is impractical? Then fine, it sure makes life a little harder — a sacrifice that many campaigners (however benign) must make. The Swartz fiasco hardly even started to make mainstream news until after he had committed suicide (watch how his Wikipedia article/biography has exploded in length since the day he died), whereupon the extremely unjust allegations and charges got dropped. Swartz was an effective advocate/campaigner in the field of copyright (not anti-war) and those who hounded him reached out for things he had written to prove intent to commit a non-crime which he never even committed. Secret agents, for a verified fact, were ‘assigned’ to him. Bradley Manning is currently being smeared in the corporate media for helping to expose war crimes; he had reached out to the Washington Post and New York Time (got ignored and turned away) before he came to Wikileaks. Notice the pattern; you hardly need to do anything but threaten those in power (or with a lot of money) to get hounded and spied on retroactively. “If you surf controversial sites (not illegal, just controversial, which in some nations is illegal), be sure to use privacy-assuring VPN or Tor.”Don’t use cash machines with nearby phone/s switched on (suffice to say, with the exception of monthly billings which are banal anyway, do not make transaction with a credit/debit card as they all phone home to the NSA in the post-SWIFT era). The ATM (cash machine) is an identity checkpoint. One’s house can be roughly identified if the phone is used there too often. CCTV does not register one’s ID. If you surf controversial sites (not illegal, just controversial, which in some nations is illegal), be sure to use privacy-assuring VPN or Tor. Better yet, consider setting up Tor nodes for those in the world whose authoritarianism is more trigger-happy and censorship-leaning. Judging by current trends, online censorship is only ever getting worse — not better — as this new thing called the Web grows, expanding to more nations and to more underprivileged people who find a voice or a source. “Do not underestimate the extent of the surveillance industrial complex; it is embedded in society, possibly even in societies and clubs you are a part of.”Use SIP clients on the phone. Linphone has a good Android app which works well for me with video. Do not use Skype for video, voice, or even text. Microsoft recently confirmed that it is reading what you write. Assume all mobile and landline communication to be recorded, if not by you or the other participant/s, then by a corporation or a shadowy government contractor (as suggested in the UK years ago). Don’t share password over the phone and definitely not by E-mail. Don’t over-re-use passwords. Where possible, I always give people their passwords on a piece of paper, having handwritten it with a pen. You cannot have your mind read for the password and the US is currently breaking the Constitution by demanding that a man gives his decryption passphrase or go to prison. He is used as a witness against himself, but the Constitution defends his right for now (while prosecutors try to brute-force crack his hard drive and succeed to extent). Crypto-cracking is the NSA’s lesser-advertised role. Cryptology is disabled by default (if available at all) in many proprietary software applications where integrity of encryption algorithms (i.e. no back doors) cannot be verified and free(dom) software downloads of crypto packages is banned in some nations whose interests are seen as West-hostile (this controversy goes several years back and they label download “export” to make embargo rules applicable). Two relatives of two people I know were approached by spooks who tried to recruit them, one as a cracker and another as an informant (de facto infiltration); they both declined (and those who don’t decline cannot talk about it). Do not underestimate the extent of the surveillance industrial complex; it is embedded in society, possibly even in societies and clubs you are a part of. You would not know if you spoke to a secret agent unless s/he unmasked him/herself (at which point s/he was no longer secret). I only found myself speaking to a spook once (knowingly, there may be more), but I was warned in advance, so it already restricted the conversation. Be careful of Internet trolls or sources of provocation, or those who ask for more access into your privacy without first earning deep trust. Some provocation is indeed to incite and incriminate; same with the latter — it is to demonise, ‘expose’, destroy reputation or derail popular action against notorious rulers.